This newsletter was originally published on February 7, 2018. A new “smart neighborhood” is being planned for Highland Park, Michigan, centered at the site of an abandoned elementary school. The Thompson Elementary School building has been vacant for 20 years, and it will now become the community center for Parker Village, a neighborhood of energy efficient, net-zero homes. The developer plans for the homes to incorporate renewable energy resources and energy-saving technologies such as motion-sensing street lights. The neighborhood will also feature electric vehicle charging stations and aquaponic gardens. The community will be one of the first smart neighborhoods in the country. Jim Robo, the CEO of NextEra Energy predicted on a Q4 earnings conference call on January 26 with investors that it would be cheaper to use new renewables than continue running existing coal and nuclear plants by the early 2020s. Robo anticipates unsubsidized new wind costing $0.020-0.025/kWh and new solar costing $0.03-0.04/kWh “early in the next decade,” as compared to the $0.035-0.050/kWh it will cost to operate an existing coal or nuclear plant. Robo bases these predictions on the consistent decline in the cost in renewables over time. Turning Point Energy, LLC is a clean energy advisory, development and investment company headquartered in Denver, Colorado with team members and additional offices in Washington D.C., Maryland, California, Florida, Arizona, and Hawaii. The company has been in business for four years with upwards of 15 team members working on key projects throughout the U.S. Its principals started the company after spending most of the last decade leading, running, growing and executing for some of the largest solar companies in the energy industry. 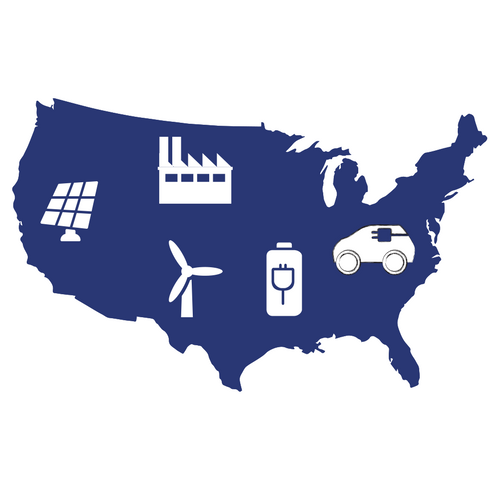 It is comprised of a veteran energy industry team with more than 1,000 MW of solar projects originated, developed, financed, built and operating throughout the U.S. today. 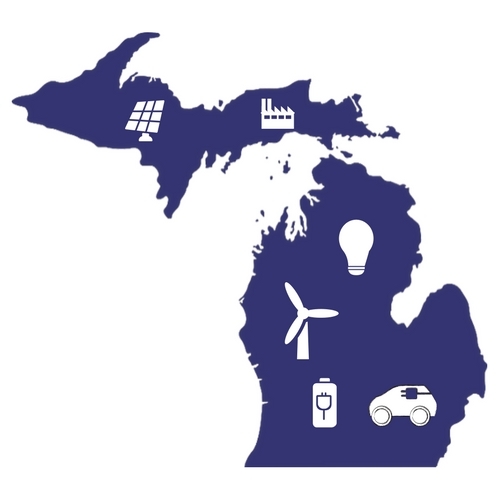 Governor Rick Snyder was nominated by the Michigan Energy Innovation Business Council for a Leadership award from the Midwest Energy Efficiency Alliance as recognition of his efforts to reduce energy waste in Michigan. Governor Snyder will be presented with the award on Thursday. Governor Snyder rejected recommendations from a pipeline safety advisory board to temporarily shut down the Line 5 pipeline in the Straits of Mackinac. Senator Dale Zorn introduced SB 647, to extend Michigan’s Home Heating Credit and funding for weatherization assistance until Fiscal Year 2021-2022. The Michigan Agency for Energy and Michigan Public Service Commission announced the release of their newest consumer Tip, Personal Property Tax Exemption for Solar Panels, which clarifies that property owners across Michigan can take advantage of an existing tax exemption for small-scale solar projects. Michigan EIBC member company, solar developer Cypress Creek Renewables is attempting to block Consumers Energy’s effort to halt its energy purchases under PURPA for the next 10 years. Michigan regulators’ decision to replace an aging coal plant with gas units was a setback for Upper Peninsula clean energy groups, but advocates still see opportunities to expand solar energy and energy efficiency. The Union of Concerned Scientists says DTE customers could save $340 million with if the utility went with renewable energy instead of a proposed gas plant. Dearborn residents celebrate as CMS Enterprises halts plans to expand a controversial natural gas power plant. On January 23, The Luella Hannan Foundation initiated Lean & Green Michigan’s first PACE project of 2018, and the first nonprofit PACE project ever for the Michigan EIBC member. Groups in the Upper Peninsula see a bigger role for solar energy and energy efficiency. The U.S. still buys more foreign energy than it sells abroad. EPA Administrator Scott Pruitt told a Senate committee that he doesn’t believe environmental protection should mean “prohibition” of oil and gas industries. The Trump administration withdrew its nomination of climate denier Kathleen Hartnett White to lead the Council on Environmental Quality. The Trump administration wants to cut funding for the Energy Department’s renewable energy and energy efficiency programs by 72% in 2019, according to draft budget documents. Renewable energy and batteries are ousting natural gas as the country’s leading source of electricity. The U.S. added 15% less wind power last year than in 2016. Conservatives are increasingly supporting renewable energy because it is economically viable. According to Bloomberg New Energy Finance, digitalization could provide $38 billion in benefits to energy. T-Mobile pledged to use only renewable electricity for its operations by 2021, with CEO John Legere saying the move will reduce the company’s energy costs by around $100 million in the next 15 years. BP is once again investing in renewables. A $5.6 billion public-private partnership in Rochester, Minnesota, aspires to be a “model of sustainability” that will push the city toward its goal of being energy net zero by 2031. Tesla will collaborate with Anheuser-Busch, PepsiCo and UPS to build on-site charging terminals for its new electric truck. Wind Works Michigan is hosting a webinar to describe the Wind Energy Stakeholders Committee report on Wednesday, February 14, from 2:00-3:00pm. The speakers will describe the report, detailing lessons learned from years of experience working on wind development in Michigan. The report is designed to provide valuable information for anyone involved in future wind energy projects, including local communities. You can register here. Michigan EIBC will host a Michigan Energy Forum on solar at member company Varnum’s Grand Rapids office on March 5. Stay tuned for registration details! 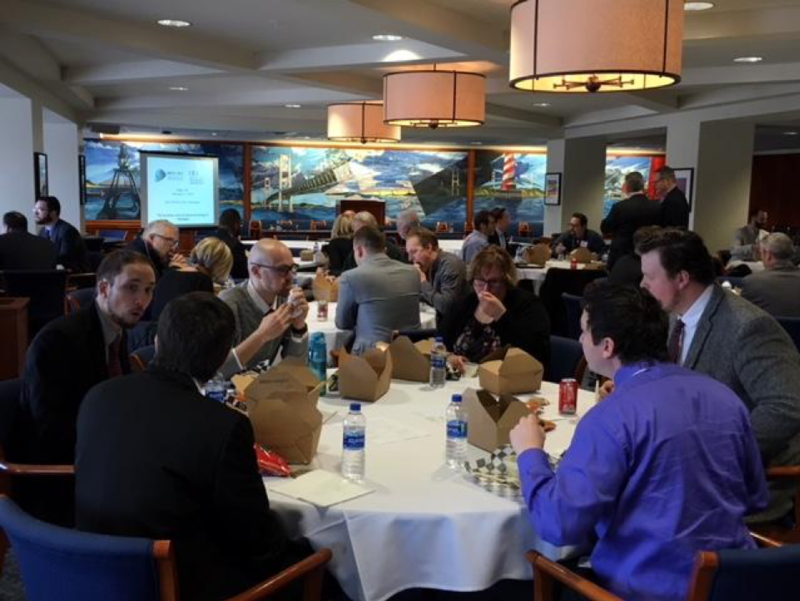 Michigan EIBC’s 6th Annual Member Meeting is scheduled for April 30 in Lansing, followed by a Lobby Day on May 1. Mark your calendars! Mark your calendar for the 5th National Conference on Next Generation Demand Response on February 7-8, in San Diego, California. Learn more and register here. Join MEEA and 650 energy efficiency innovators at the 2018 Midwest Energy Solutions Conference, February 7-9 in Chicago, Illinois. With more than 650 attendees, MES is the region’s largest energy efficiency event and an unparalleled networking opportunity. February 7-9, MEEA will be holding their annual 2018 Midwest Energy Solutions Conference at the Chicago Hilton & Towers. MES is about celebrating accomplishments in energy efficiency, as well as laying out the efficiency program and policy landscape for the coming year. Register here. EUCI invites you to the Net Energy Metering (NEM) and Utility Solar Rates Summit March 1-2 in Nashville, TN. The summit will explore common NEM rate structures and many alternatives under consideration and examine the array of options that utilities and regulatory commissions are looking to as a means for striking the necessary balance between promoting the advancement of solar policy and development, facilitating appropriate rate recovery, ensuring grid reliability and enabling consumer choice. Register here. Members, check out your inboxes for an exclusive member-only discount!